As everyone knows Apple publicly released its first major update after iOS 7 yesterday which patched up some key vulnerabilities used by team evad3rs. As the situation gets a little dark for jailbreaking community, here are a few things that you as a jailbreaker should do. Apple has brought in a good few improvements and features with the latest iOS 7.1. However, it gets tough for the JB community to risk upgrading to it. Don’t forget to get SemiRestore7 to get yourself near stock experience if you have to restore your jailbrokwn device for any reason. 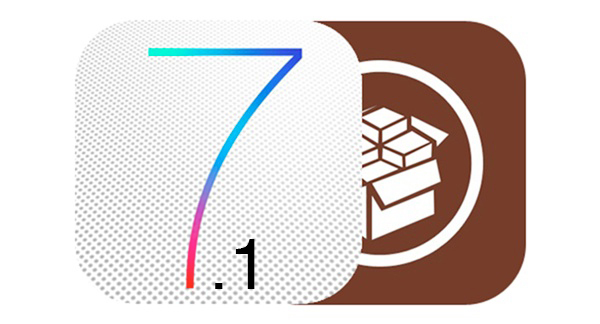 Below are the things that you should know if you have a jailbroken iOS device running on iOS 7 through iOS 7.0.6. Do not restore or update to iOS 7.1: This is the apparent step. If you want to keep your device jailbroken, do not update to iOS 7.1. Evad3rs have also said they are unlikely to work on a jailbreak for iOS 7.1. Things seem rather gloomy; try not to update until we get some ray of hope. Uninstall any unnecessary jailbreak tweaks: Tweaks get you in trouble with compatibility issues. Hence it is advised to uninstall any JB tweaks that you do not use. Avoid installing too many new jailbreak tweaks: Like aforementioned, tweaks most certainly get you in compatibility troubles. Be careful on what jailbreak tweaks you are installing and try to restrict yourself to credible tweaks or those which you really need. Bad tweaks force you to restore your device making you lose this precious iOS 7 jailbreak. Recommended way to get out of reboot loop issue: If you are stuck in the reboot loop issue, don’t be hopeless as safe mode of mobile substrate get you out of this problem safely. Also, the following tip will help you with this too. Install SemiRestore7 and OpenSSH: We have already shared with you that CoolStar has released the SemiRestore7 now updated for iOS 7. This tool lets you restore your jailbroken iOS device to near stock condition without losing your precious jailbreak. 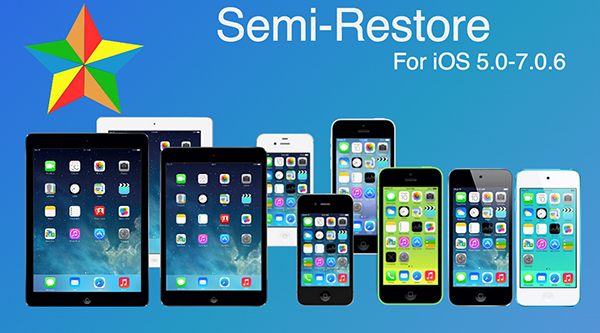 SemiRestore7 will also help you get out of reboot loop issue caused by any troubling tweak. SemiRestore removes any such tweaks during the process. SemiRestore needs OpenSSH to be installed for this to work. Go to Cydia and install OpenSSH as soon as possible. After installing it, don’t forget to change the root password to prevent anyone from remotely accessing your device. File system: Do not try to mess up with the file system as it gets some users in to troubles too. Deleting a file using iFile and other such tasks can get you to restore your device. In the absence of any jailbreak tool for iOS 7.1, try to avoid any such tasks unless you are sure what you are doing.